I have a feeling that our digital release this week is going to be a popular one! 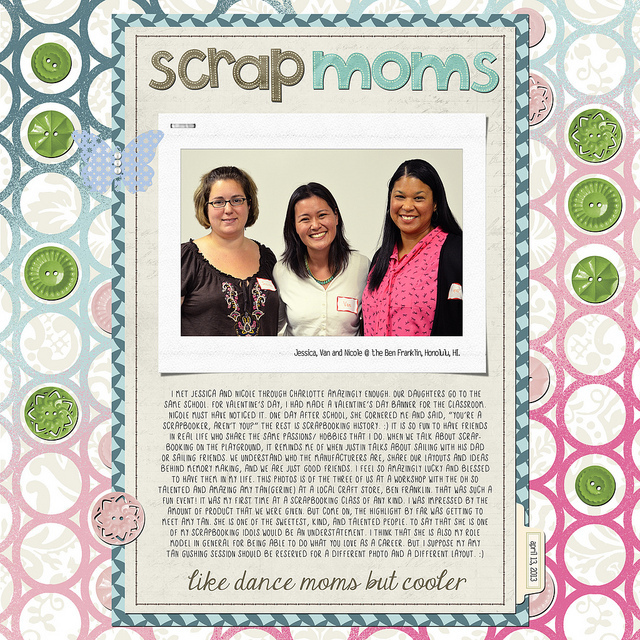 Traditional scrappers have hoarded them and now digital scrappers can too! That's right! 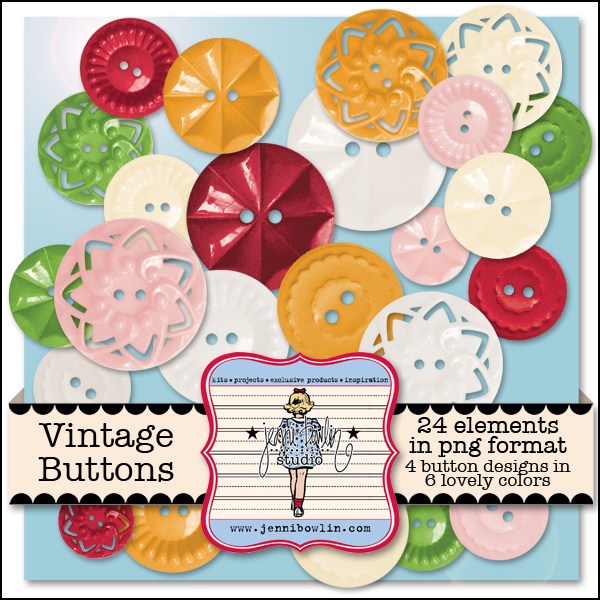 Jenni's Vintage Buttons are now available in one great digital collection, consisting of four designs and 6 lovely colors. And you can grab them this weekend for 25% off! 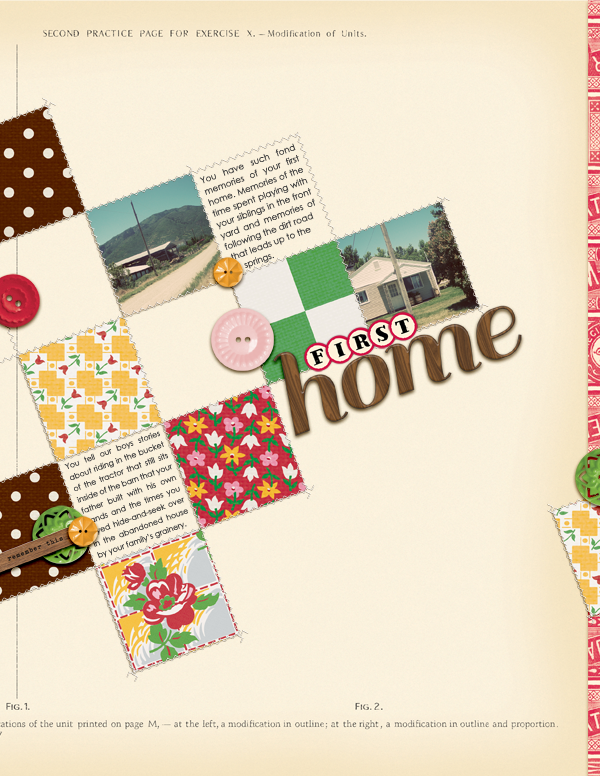 Here I've sprinkled these vintage buttons around my page to create pops of color and dimension and there is no denying that they to add a certain amount of charm. and One Little Bird Designs: Flight Plan No. 8.
van Nguyen has used these basic, yet versatile buttons to add a few touches of dimension to her page's awesome stencil-misted background. Don't you just love her use of shapes and color here?! Don't forget to grab these beauties while they are on sale--now thru Sunday--and have a wonderful iNSD Weekend! Awesome layouts! It is very cool to be in one of Van's pages!